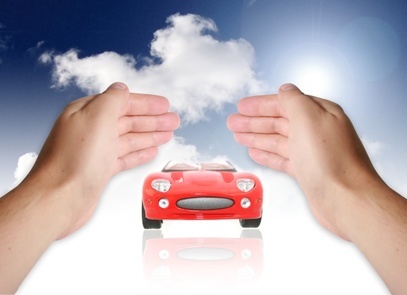 Auto Insurance is an important part of acquiring a vehicle. There are few people who consider it as useless annual expenses, but there are many insurance products that can provide you multiple benefits that can increase the vehicle cover as well as for its owner. Zero Depreciation is the policy that assures that you will get full claim on the value of parts replaced after an accident. It is the one of the most widely used add-on cover sold by auto insurers. These insurance covers are offered only after 3 years from the date of buying of the vehicle. With the increase in age of the vehicle, the amount of premium increases. This policy covers the various services like a flat tyre, empty tank, battery related issues and accidents. It enables these services in case of any emergency while one is driving to a remote location or an area where these services are not present. You can avail fuel assistance, taxi accommodation benefits when stuck in a remote destination. It is a policy that can come in handy when you face situations like water logging. It provides protection against engine and electronic circuit in case of flooding. In such a circumstances, there can be an engine failure and this damage is not covered with normal motor policy. This policy is the best method to avoid huge cost repairs and replacement of circuits, which get easily damaged and cost a fortune. This add - on is offered only in the first year of buying a vehicle. Under this policy, you can get full value of the car in case it is completely damaged due to an accident. Also, you can get full reimbursement without the 5% depreciation. This add-on comes handy when you have not taken any insurance claim in last five years. Generally, people buy an insurance cover for a year and then Renew Insurance Cover annually. This NCB policy acts as rewards by offering discounts up to 50 percent. This plan covers the owner, the paid driver or depending or both depending upon the insurance policy. In case of owner- driver, a person is permitted to a 100 claim for death or permanent loss of limbs. This plan is not offered if the vehicle is owned by a firm, or if the buyer does not have a valid driving licence. In case, you have multiple covers, then the cover is only offered for one vehicle. This add-on enables users to claim any theft or apparent loss of personal property, including laptops and electronic equipment, from a locked vehicle. Insurance companies provide a wide range of personal things loss claims, which can go up to Rs 50,000.